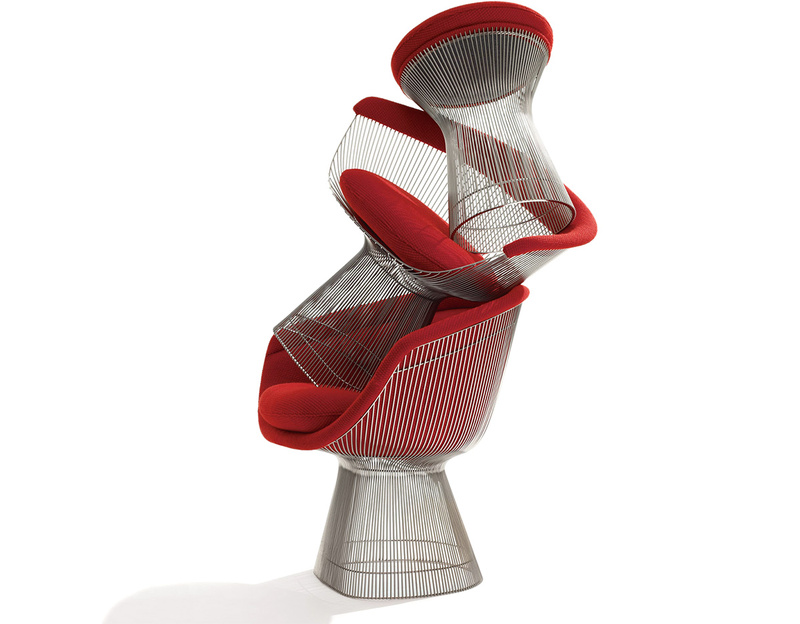 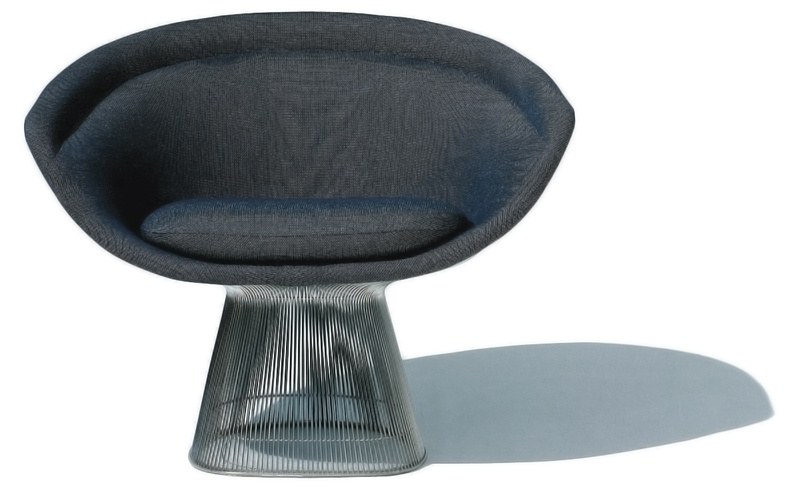 In the 1960s, Warren Platner transformed steel wire into a sculptural furniture collection, creating what is now considered a design icon of the modern era. 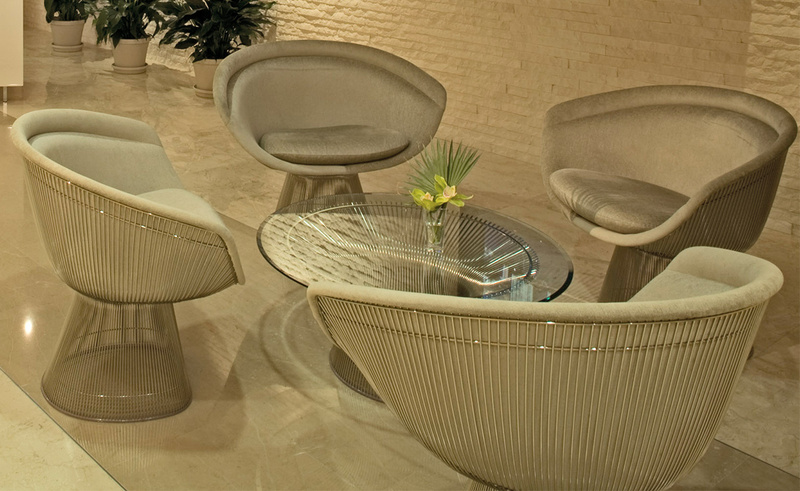 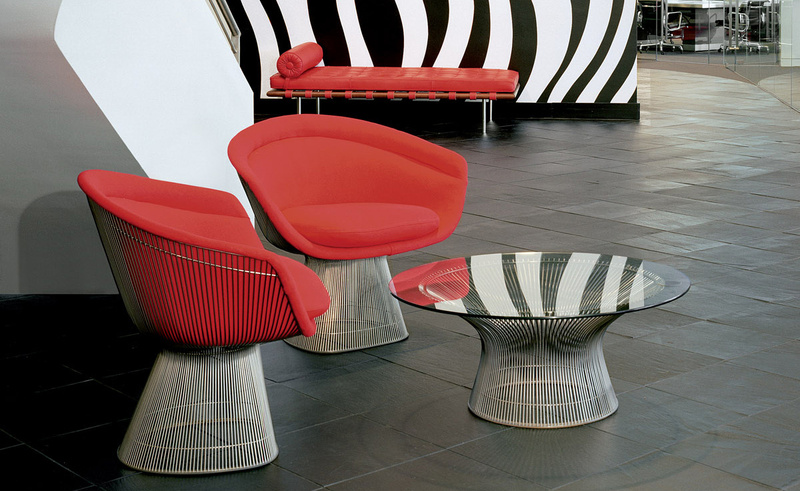 The Platner collection's unique harmonious forms are produced by welding steel wire rods to circular frames, producing a moire effect and capturing the decorative, gentle, graceful quality that Platner sought to achieve. 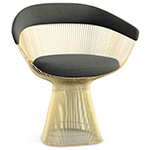 All metal components are finished in bright nickel with a clear lacquer protective coating. 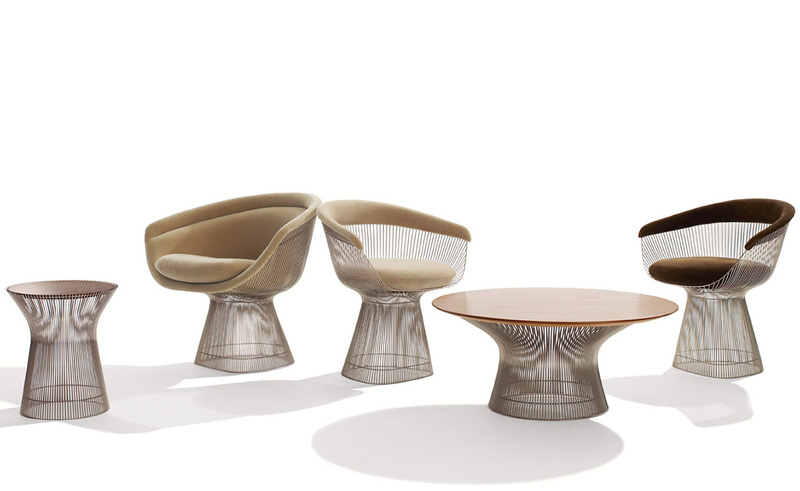 The Platner collection also includes a side chair, low stool, plus dining side and coffee tables. 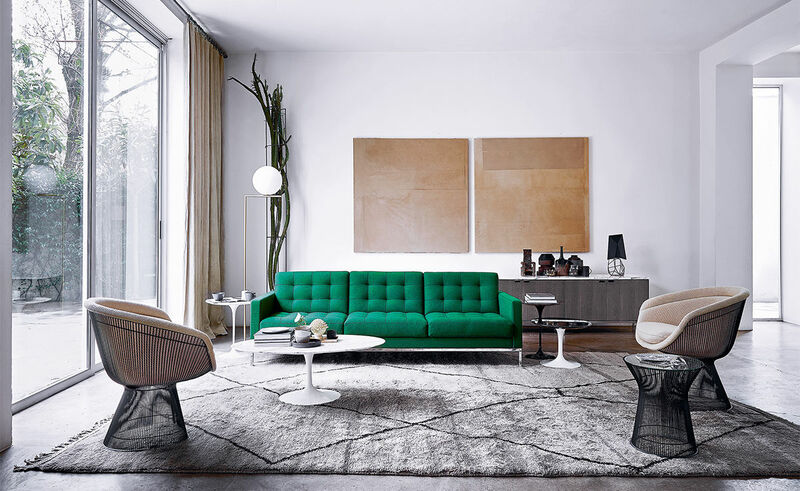 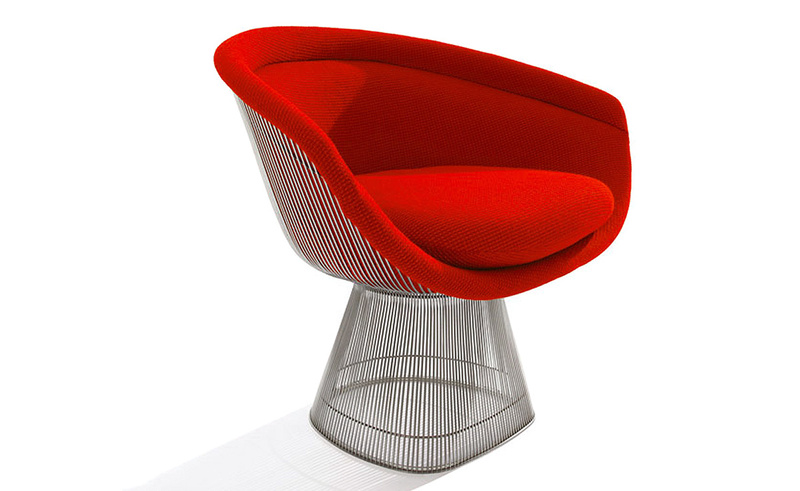 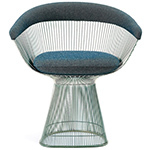 The Platner seating collection features vertical steel wire rods welded to circular horizontal and edge-framing rods. 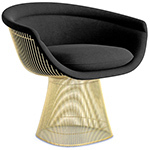 The frame base has a clear plastic extrusion ring for a smooth bottom surface. 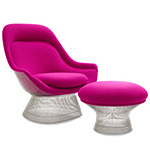 The seat is a molded fiberglass shell & molded latex foam cushion. 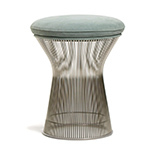 This collection is offered in your choice of either a bright nickel with clear lacquer protection or painted bronze metallic frame. 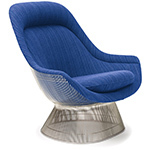 $6,083.00 + plus shipping in the continental U.S.